Mark W. Weimer, age 65 of Winona, passed away peacefully Sunday, February 11, 2018 at Methodist Hospital, Rochester, MN with his wife Pam and best friend Tom Reed at his side. Mark was born September 11, 1952 in St. Paul, MN and adopted by Henry and Sarah (Weber) Weimer. He graduated from Winona Senior High School in 1971. At the age of 30, he enlisted in the U.S. Navy and made serving this country his career. He retired after 24 years in October 2006. After his Navy career Mark and Pam returned to Winona where Mark had the privilege of taking care of Veterans as a CNA at Mosher Veterans Home in Dresbach, MN. On May 30, 1987, he married Pamela Fitzgerald in Winona, MN. 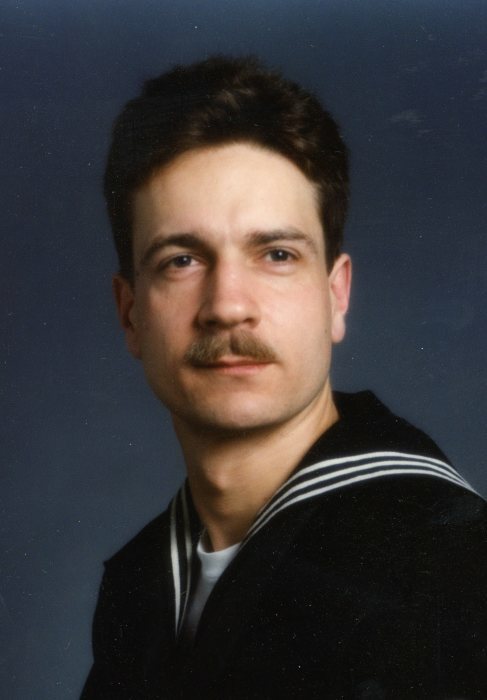 Mark’s Navy career took them to many exciting places around the world including Florida, Okinawa Japan, Hawaii and Connecticut. He enjoyed fishing, traveling, and many adventures on the Mississippi River with family and friends including many cruises down river to Sullivan’s for dinner. Mark was passionate about walking his dog Nick, swimming, fishing, bike rides and traveling. Mark is survived by his wife of 30 years Pamela, Winona; a brother, Kent Weimer, Dallas, TX; a niece Margaret Weimer; father-in-law Arden Fitzgerald; brothers and sisters-in-law: Mike (Karen) Fitzgerald, Kevin Fitzgerald, Lynn (Jack) Miller, and Kerry Fitzgerald; and other relatives. He was preceded in death by his parents; a sister-in-law Stacey Weimer; mother-in-law Iris Fitzgerald and his beloved dog Nick. Memorial services will be 2 p.m. Saturday, February 17, 2018 at Fawcett Junker Funeral Home, Winona with Pastor Kathy Schuler officiating. Interment will take place at a later date at Woodlawn Cemetery, Winona. Military honors will be completed by the American Legion Post 9, Winona, MN. Visitation will begin at 1 p.m. Saturday at the funeral home. In lieu of flowers, memorials can be directed to Wounded Warrior Project, PO Box 758517, Topeka, Kansas 66675-8517, or American Society for the Prevention of Cruelty to Animals (ASPCA), 424 E. 92nd St., New York, NY 10128-6804, or the donor’s choice.